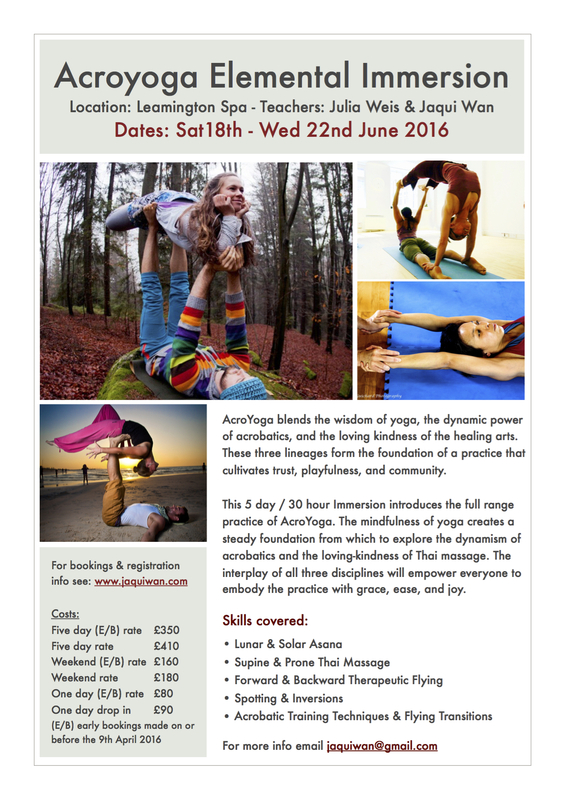 AcroYoga blends the wisdom of yoga, the dynamic power of acrobatics, and the loving kindness of the healing arts. These three lineages form the foundation of a practice that cultivates trust, playfulness, and community. 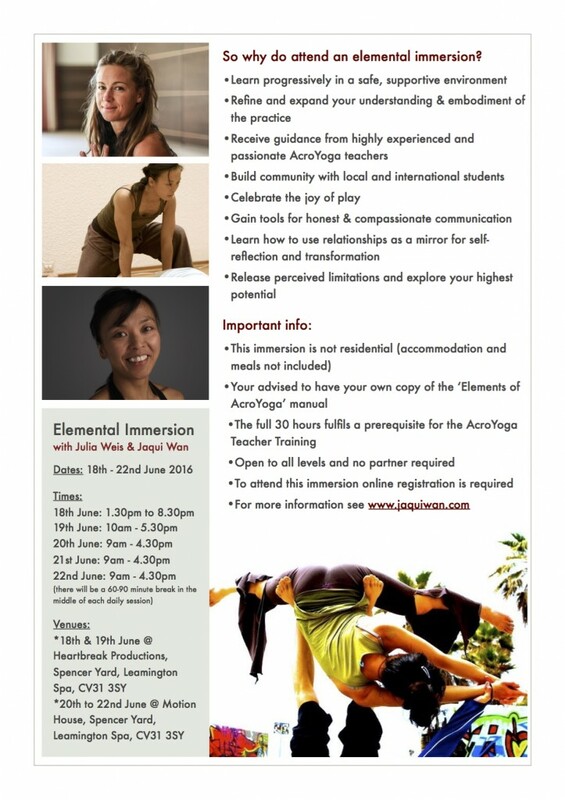 This 5 day / 30 hour Immersion introduces the full range practice of AcroYoga. The mindfulness of yoga creates a steady foundation from which to explore the dynamism of acrobatics and the loving-kindness of Thai massage. The interplay of all three disciplines will empower everyone to embody the practice with grace, ease, and joy. So why do attend an elemental immersion?